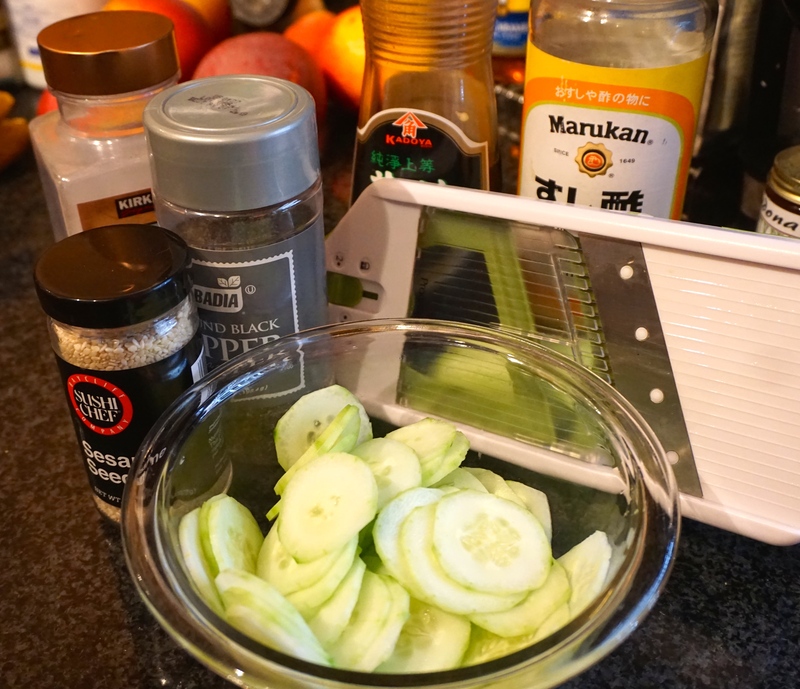 Cucumber Salad – I love having this as a snack, as a side dish and I have to confess I have had it for breakfast too! 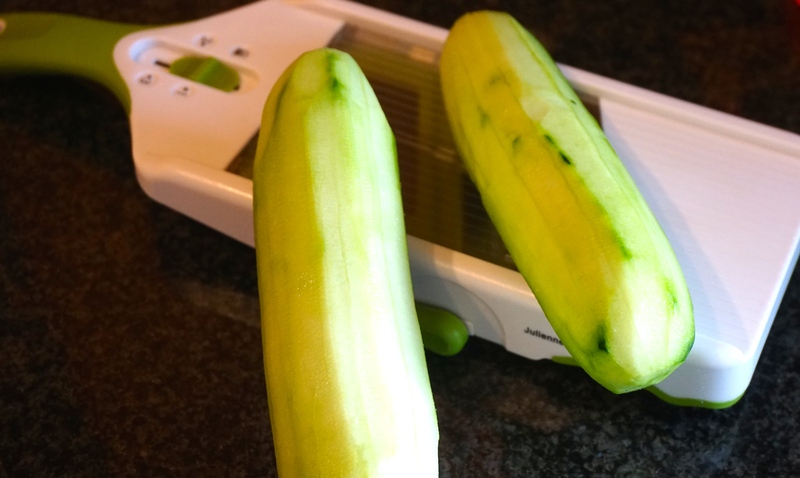 Peeled the cucumbers and sliced them on my handy dandy mandolin. 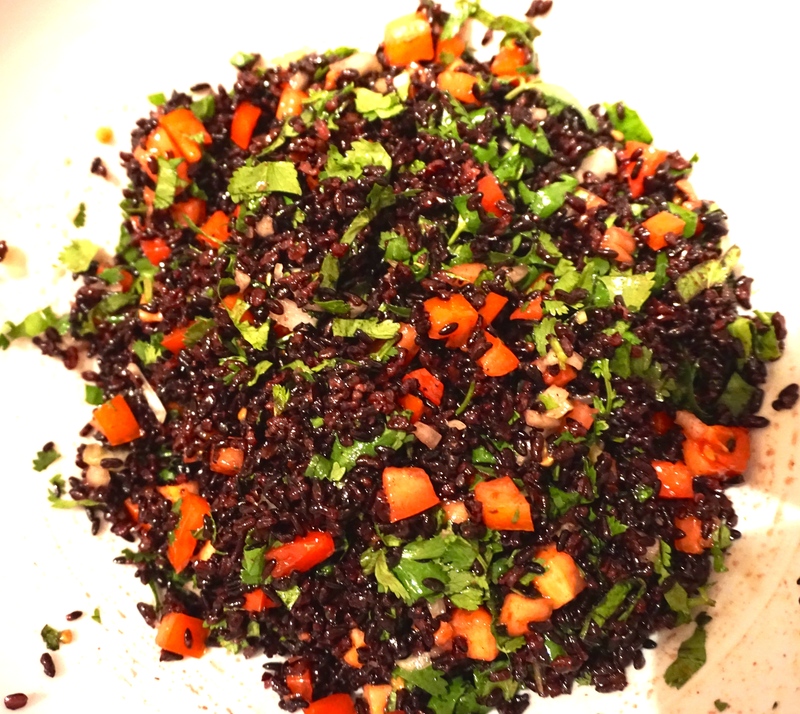 Then I added some sesame seeds, salt and pepper and here is the tricky part as I don’t measure (we call that “al tum tum where I come from”), added in some Japanese seasoned rice wine (about 1/4 cup) and a drizzle of sesame oil. 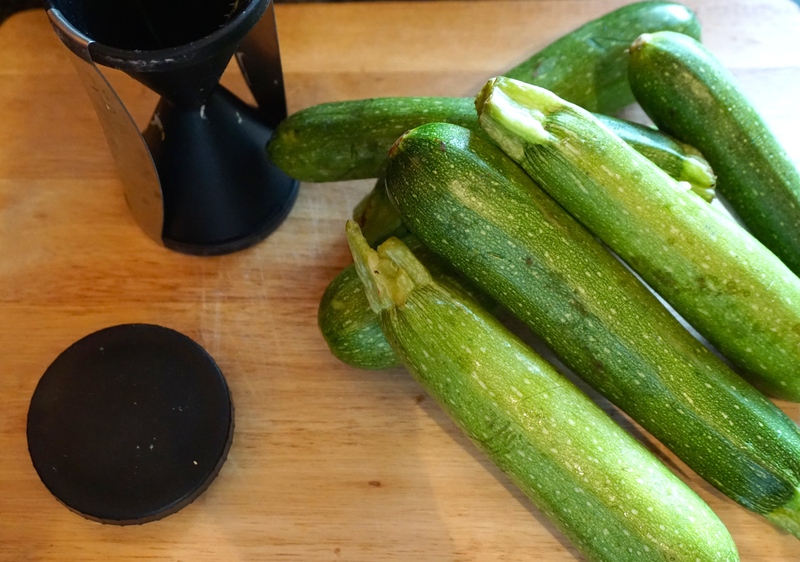 I started by putting my courgette’s through my spiral slicer and then chopping up the little ends to use in my veggie sauce. 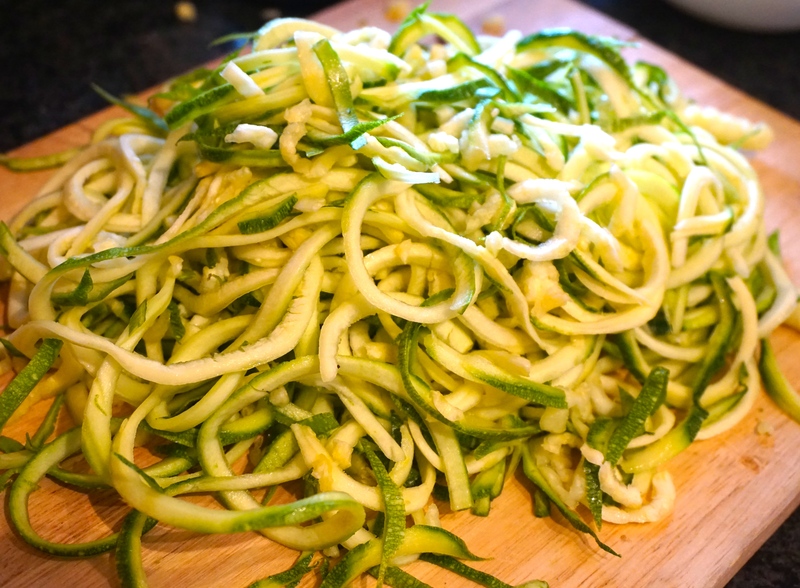 Boiled some water and threw the courgette spaghetti in for just a minute to give it a quick flash cooking, too much cooking turns it into mush! 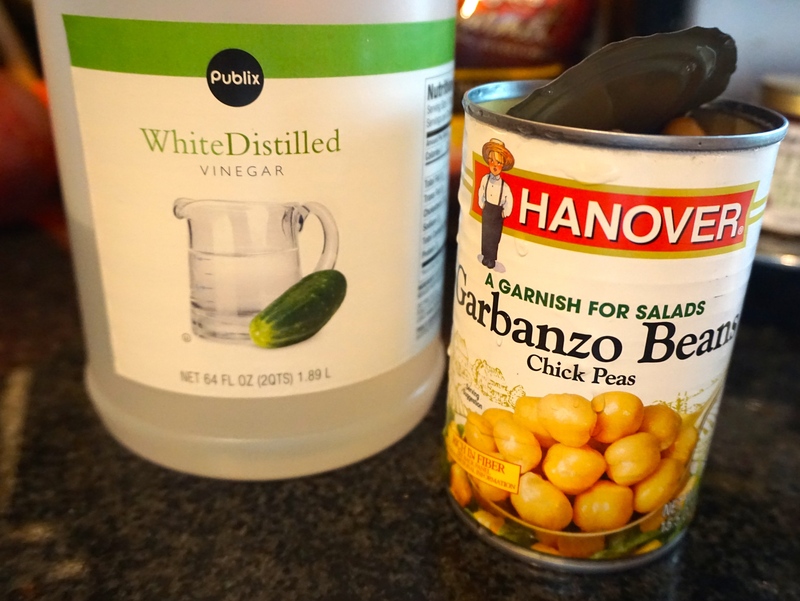 Drained it and drizzled a bit of olive oil into it and put it to the side. Placed some tomatoes in a blender and gave them a quick swish and then threw them in a pan with some onions, fresh basil from the yard, my chopped up courgettes, garlic and seasoning and a dollop of sour cream. 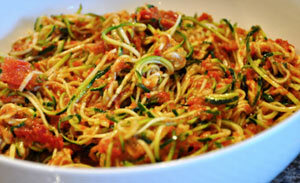 Once everything was nice cooked, I tossed the spaghetti into the sauce. Added some cracked red pepper and dinner and lunch for tomorrow is ready. 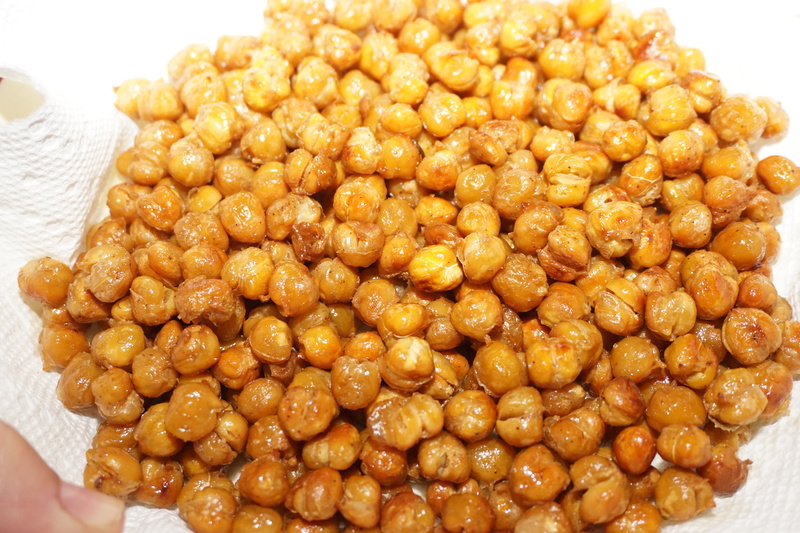 Found this recipe for salt and vinegar chick pea snacks and decided to give them a go. 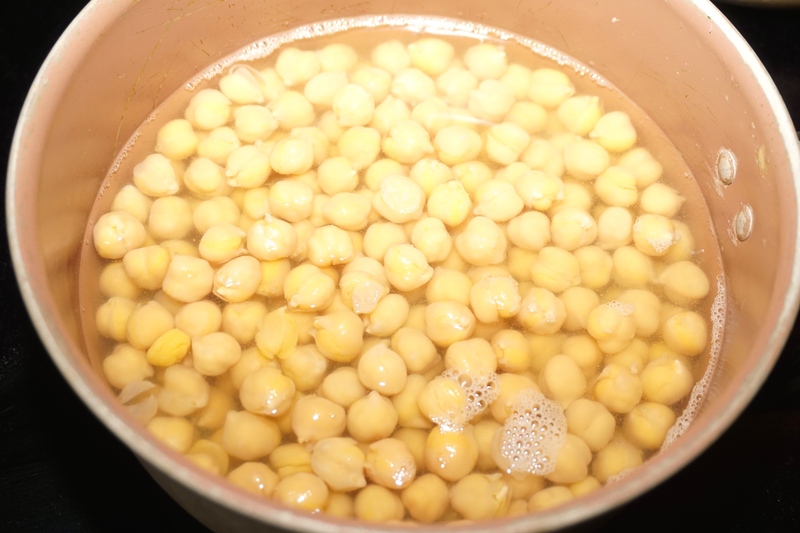 Place chickpeas, vinegar and a dash of salt into a pot, as soon as it boils remove from the heat and leave them in the warm vinegar for 40 minutes. 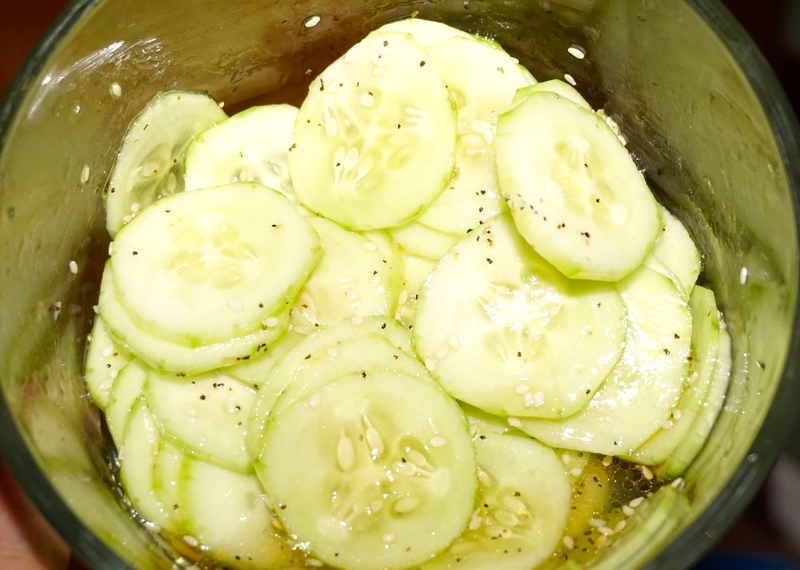 After the 40 minutes have gone by, drain them and place in a baking pan, seasoned with more salt and I decided to give them a spicy kick so I gave them a good dusting of cayenne pepper. Preheat oven to 400 Deg F and bake for 40 minutes. 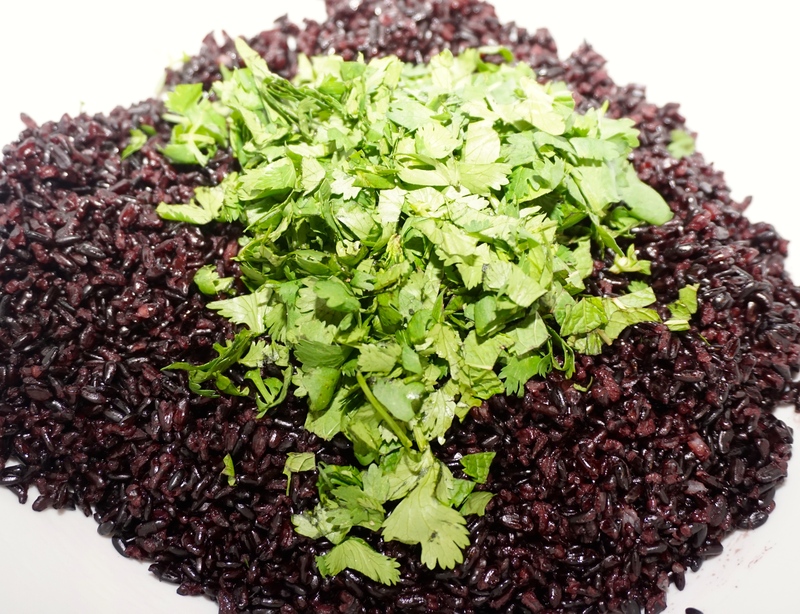 This is another favorite, black rice has a nutty flavor and had a bit more body than regular rice. 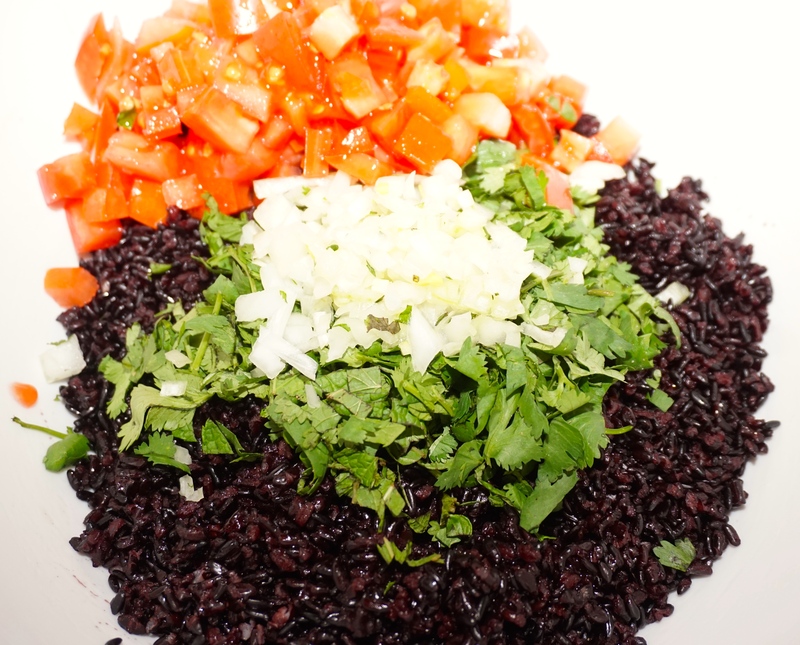 Add all the above ingredients to the rice once its cooled down and there you have it, the tastiest rice salad ever! 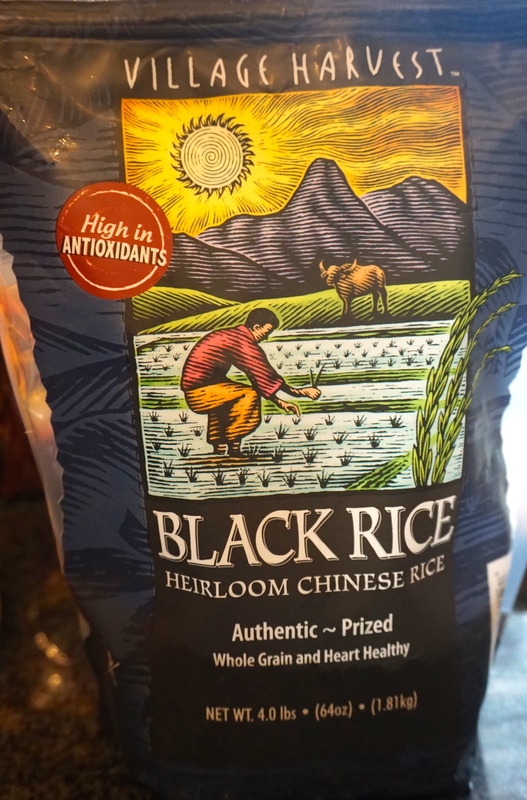 Even my daughters boyfriend tried it and liked it which is an extra special seal of approval as he doesn’t eat as much weird stuff as we do! 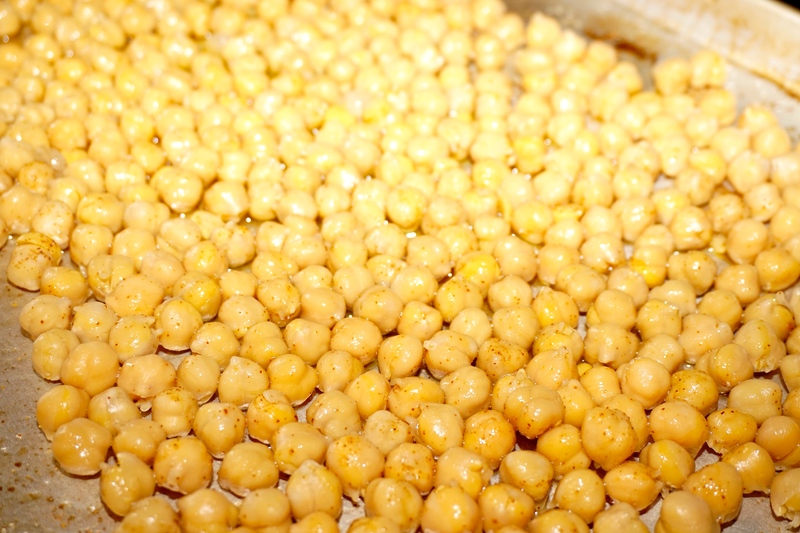 Prev The Wonderful Butternut Squash……..
Next Sunday + Chocolate + Strawberries + Marshmallows = ?